There are a lot of variety of beans in the world and most of them you can’t grill. 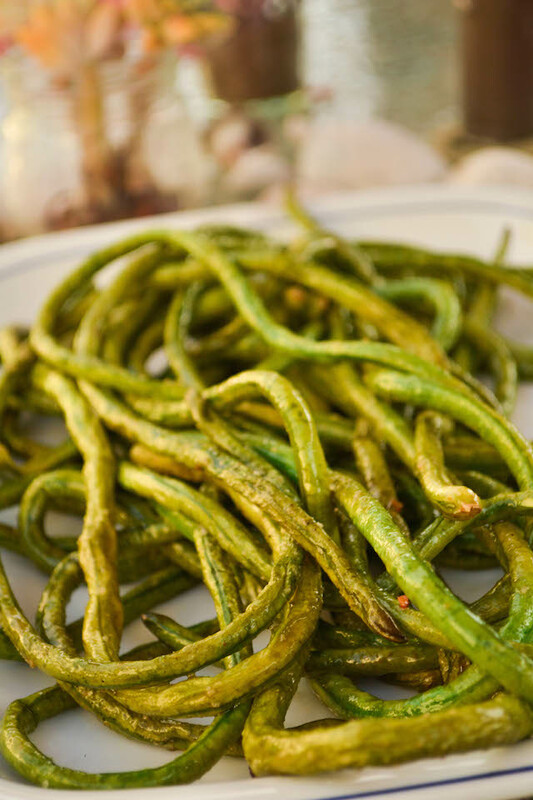 There is one variety that I threw on the grill this past weekend — the long bean. They are traditionally cooked in Asian cooking, but can easily be substituted for green beans to keep things interesting and fun. I cooked them with sesame oil. You can find the recipe here. I’m slowly getting used to life in Santa Barbara. We’ve visited many times over the year, but establishing a routine in a new city can take a few days. This past weekend my sister-in-law, Kathy, Aunt Lorena and my niece and I decided to explore the local farmer’s market. Santa Barbara has fantastic farmer’s markets. The best one is on Saturday mornings in the downtown area. They section off an area and all the local farmers come to sell their products. I found cultured butter, goat cheese (from a goat named Amala), turnips (oh my these were good), gorgeous eggplants of so many different varieties and in one little stand last Saturday I discovered bunches of long beans. Long beans mostly look like really long green beans, which I guess is why they’re called long beans. We decided to be adventurous and purchased the beans. She’s always wanted to try them and I love anything Asian, so we bought them and grilled them up that night. 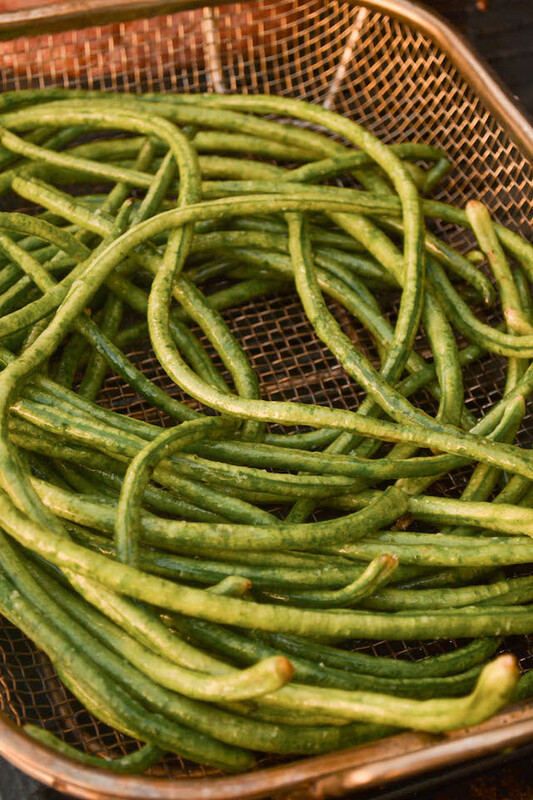 Long beans are a staple crop from East Asia. There are a couple of different varieties. The pale green ones are the ones we cooked and even though they are savory, they can have a slightly sweet taste to them. Preheat grill to around 400 degrees. Toss beans in oil and salt and place on grill for 10-15 minutes. Remove beans when brown and slightly charred (taste a bite at 10 minutes to see if they need longer or not). Drink with: Viognier—which is refreshing on a warm summer day and full bodied enough to stand up to a steak. Oh yum! Amazing how long a little oil and salt can go to season up the right veggies.